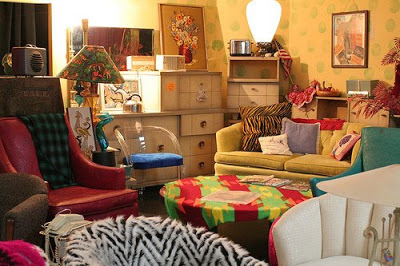 A really good vintage shop in Las Vegas is The Attic. I use to shop there all the time back in the day…and before the store became famous and now charges an entrance fee. Ridiculous! But the clothes and furniture are pretty awesome. I used to love this store too back in the day. I would buy my high school dance dresses there. I remember looooong time ago, you taking us to this fabulous place. Who doesn't love that place! But seriously, an entrance fee.